The Oklahoma Department of Libraries pays for a subscription to these databases–there is no charge to you! You can use these databases at the library without a password. You need the library username/password to authenticate if you are accessing remotely. We can give these to you at the library, or call and show us you are a cardholder at PCL. A database is really just a compilation of sources that are easily searchable. Databases contain popular (Time, Newsweek, or Consumer Reports) as well as scholarly titles (medical, math or education journals). 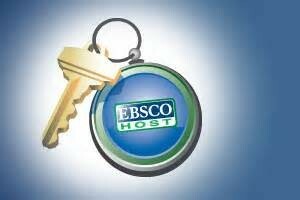 Ebscohost is a collection of databases and has access to periodicals, journals and newspapers. It also has health, small business, newspaper and education databases. These are perfect for students, consumers, avid readers and anyone looking for unique information. One of my favorite uses is accessing Masterfile Premier to search Consumer Reports. Entering the title, “Consumer Reports,” in the name of the publication, and then enter a consumer item in the search field. If your washer, dryer or television dies, you can search Consumer Reports at home. These are truly wonderful, credible resources!! Call and make an appointment with Pam if you want to learn more! !